Lt. Comdr. Omer L. Watson, son of O. K. Watson, attended Cameron Jr. College and Okla. A & M College; husband of the former Eileen Mooney. 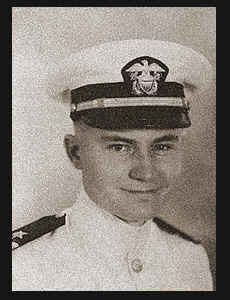 Entered Navy in Sept, 1940, trained in Chicago, Ill., and Portsmouth, Va.; served in the Carribean, Atlantic and Mediterranean Areas; was wounded in action in 1943; is now on duty in Japan.